I know. We are nine days into the month of March and you’re wondering where this months free printable meal planner is. I’ve received many emails and I am just so grateful you guys are patient with me. Thank you! 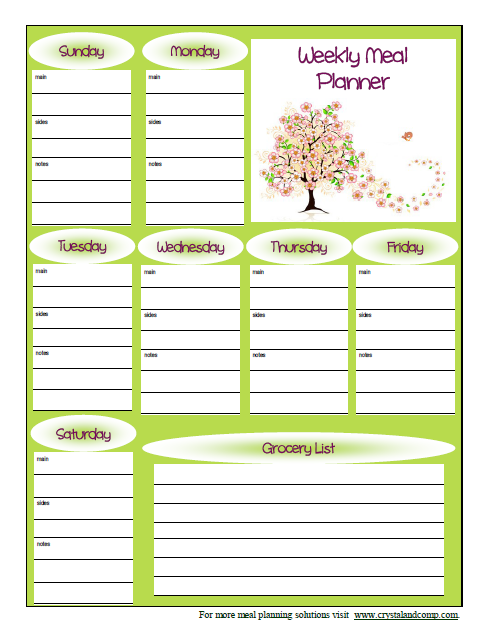 Print out this March 2014 Free Printable Meal Planner and map out your meals for the next week. There is also an area you can use to start your grocery list as you run out of things in the pantry, fridge and freezer. For more dunner ideas, check out all of my weekly meal plan ideas that I’ve shared here over the years. I love this. Thanks for the great printable. Thanks for linking up at Tell Me About It Tuesday. We hope you hop over and share with us again nest week. Thank you for another great meal planner!